A balcony in a little villa in the village of Ramatuelle, Southern France overlooked a church tower with its hourly bells, the city hall and the tree tops of the village square. The Mediterranean and sandy beaches of St. Tropez are in the distance. 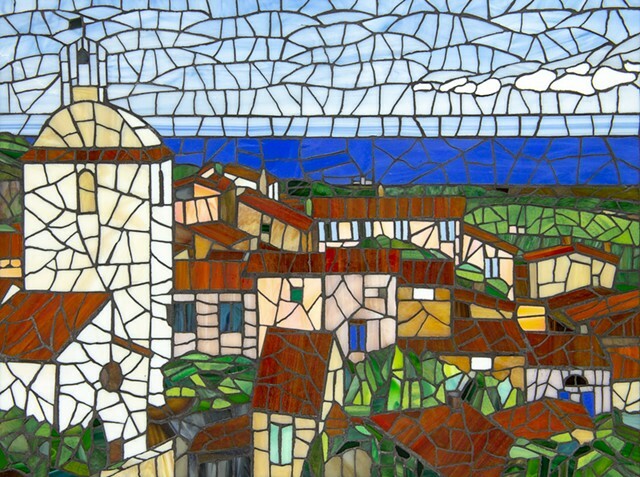 We loved it there and this mosaic is a daily reminder of a wonderful visit. The original is not for sale.